欢迎您到博客来 Welcome to my blog!!! My name is Hulda Destin and I’m addicted to traveling. I’ve been traveling for the past three years on and off! In that time, I have visited 19 countries, my goal is to visit 100 by 30, so hopefully I could achieve that goal in the next 5 years! Right now, I’m living in China! YESSS CHINA!!! A lot of people ask me “Hulda why China?” My answer is simply that I wanted some place new after graduating from Rutgers. I studied abroad in Thessaloniki, Greece and my experience was beyond amazing, which led me to not wanting to live and work in America. During my last semester, I honestly wasn’t stressed about finding a job or going to grad school. I tend to just go with the flow because things always seem to work out for me. And I know that there is a greater force out there guiding me and helping me to be on the right path. 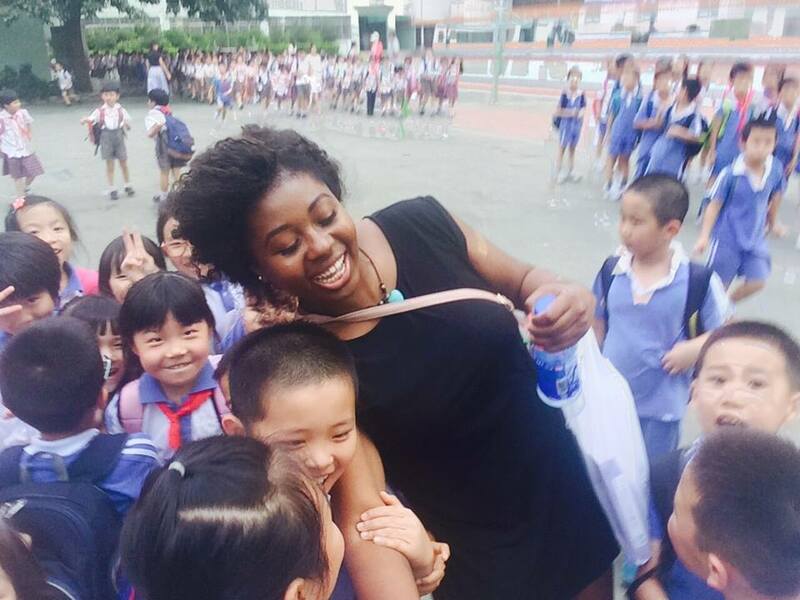 I heard about a program called the Center for Teaching and Learning in China (CTLC) from one of my Facebook friends who frequently posted about her AMAZING adventures. I would often find myself stalking her page, wishing I could swap lives with her. She had a wonderful experience with CTLC. I looked more into the program, applied and was later accepted. Although I was excited and a little nervous, I did some more follow-up research and started preparing myself for a new journey. I booked my flight to Hong Kong and packed for a whole year. My family and friends thought that I was a bit crazy for going to China at first, but then they all got over it and accepted my decision. In my mind, I thought that China was going to be sort of like Europe… NOPE ABSOLUTELY WRONG! I absolutely knew nothing about China, I didn’t even bother to do research on the area that I was going to be living in, I just wanted to expect the unexpected. I spent all my research on the program and what it had to offer. Stay tune for my future blogs to see my feelings toward China and Chinese people and also on how I adapted towards Chinese different ways…. Posted in ChinaTagged China, CTLC, englishteacher, shenzhen, teachinginChina, tefl, travel, ZhuhaiBookmark the permalink. awww thank you 🙂 !